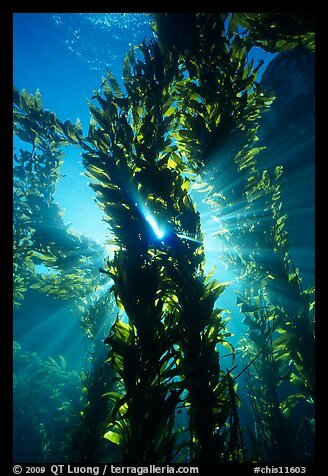 I’ve posted new underwater images of kelp taken a month ago during a day of diving in the Channel Islands They were all taken with a Sea & Sea 15mm lens on a Nikonos V using Fuji film. 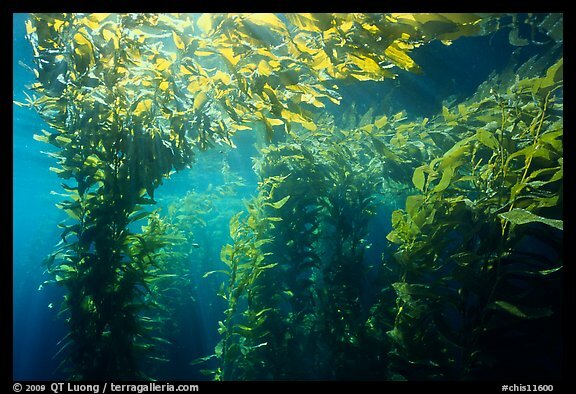 This might sound awfully wide to those not familiar with underwater photography, so here are some explanations. Because the refraction index of water is 1.33, when used in the water, the lens is the equivalent of a 20mm lens (all lenses become 1.33 times longer). 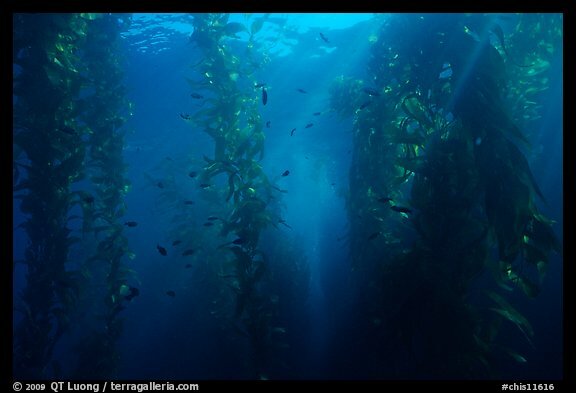 Then, in underwater photography, you need to get very close to your subject, because even a small amount of water between the lens and the subject would degrade images significantly, and in particular absorb the all the reds (resulting in blue hues). While I am pleased with the images, considering for how long I hadn’t been diving and the equipment that I had, I will be most likely returning next year with a housed dslr and my strobe repaired, since I saw so much more than what I managed to photograph. Phillip Colla feels that it is crazy to have only 36 exposures available. On the first dive, I was so tired (insufficient weights might have contributed) that I had to force myself to finish the roll. But after I got more comfortable in the water, that did became a limitation. However, what I missed most was the ability to shoot at high ISOs. This would have made it possible to try to photograph sea lions (do they move fast in the water !) and scenes in the shade. First, the shots you did great are really great.